Once you’ve created an IT roadmap for success at your organization, the next step is implementing the new technology solutions you’ve selected. without a proper technology implementation strategy, new investments in software and hardware solutions may not bring the value you're hoping for. To maximize the effectiveness of your new technology integration, there are important considerations before, during, and after upgrading your systems. 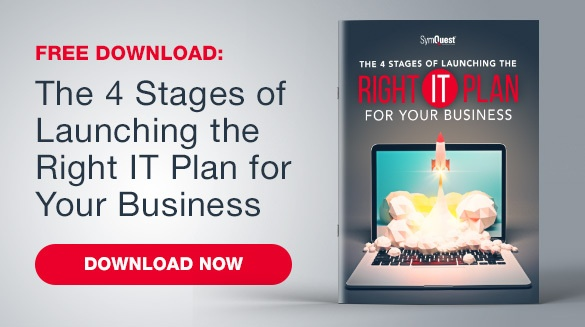 Here are four steps to smoothly implement your new business technology. The first step is to draft a plan of attack for which technology solutions you'll be introducing and when they'll be deployed. Timing is everything when it comes to new software integration. To get the most value in the least amount of time, you'll need to carefully coordinate any release with the best interests of your organization. A drafted plan can also help you to manage any anticipated delays that may occur during implementation and will help you to navigate these roadblocks effectively. Who needs to approve each stage of the implementation process? How will you test the new system? How can you implement new technology with the least amount of disruption to users? What is the plan for moving/storing data? Deadlines can help IT professionals stay on task when upgrading systems and developing newer processes. However, technology projects should never be rushed, as this can lead to more significant issues down the road. Instead, take the time to introduce larger projects in pre-defined stages. This will help to ensure your integrations are smoothly added to the company and reduce the likelihood of details being missed. If you want to maximize employee adoption rates with new technology, then it's crucial that any new rollout is done systematically and with adequate levels of user training. Once you've decided on the technology you're looking to integrate, developing a more modern approach to in-person training will help new users quickly get up to speed on the functionality of your investment. Taking the time to train your staff before the launch of new enterprise solutions or networked systems will reduce the time it takes to get operational and will significantly improve employee adoption rates down the road. After you've successfully deployed your new technology solution, the work is far from over. All of your careful planning and execution during the initial stages of integration will be for nothing if you don't have a plan in place to monitor your new technology to continuously optimize its performance. Many companies find it beneficial to task a particular department or individual with ensuring the success of updated technology over time. By having a dedicated resource who oversees day to day process and can report inefficiencies as they occur, it becomes much easier to maximize the value of your technology solution. Regardless of the type of technology investment you wish to make for your organization, a strategic implementation strategy is key to success. By following these steps, you'll be able to ensure that you successfully launch your new solutions while maximizing user adoption.